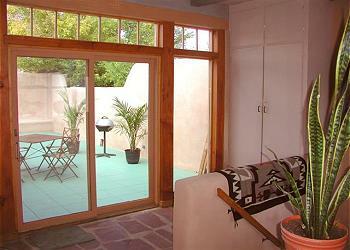 Patio before furnishings arrived as viewed from "foyer lounge"
"In our mini-hacienda you will be located 1/2 block from Taos Village Plaza with wonderful eateries, shopping, art and museums one could imagine. 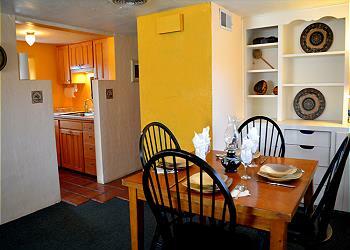 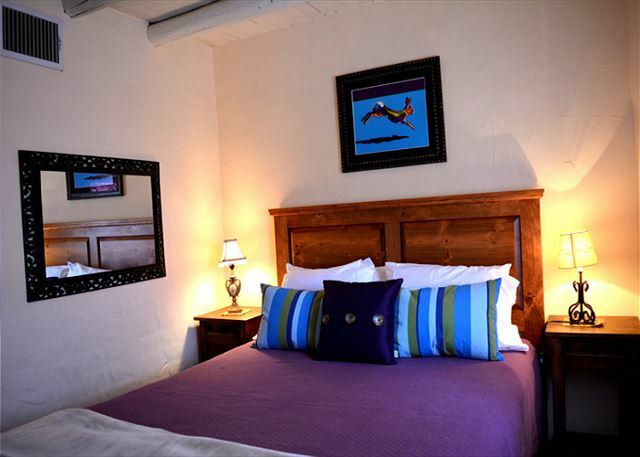 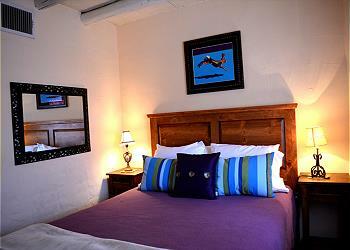 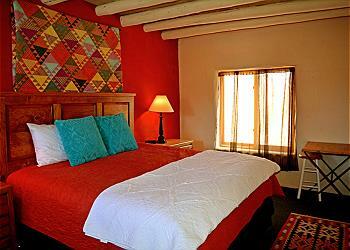 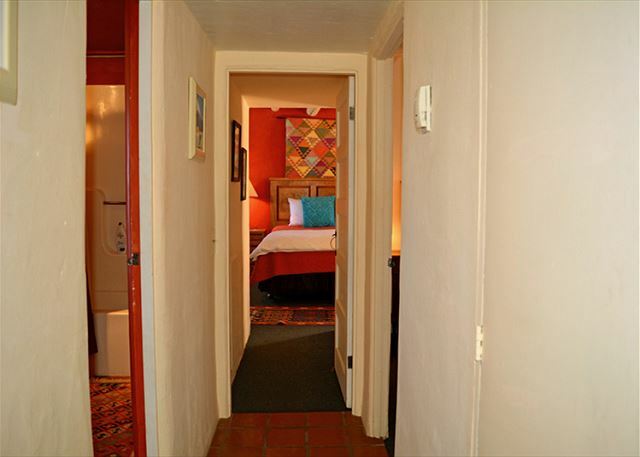 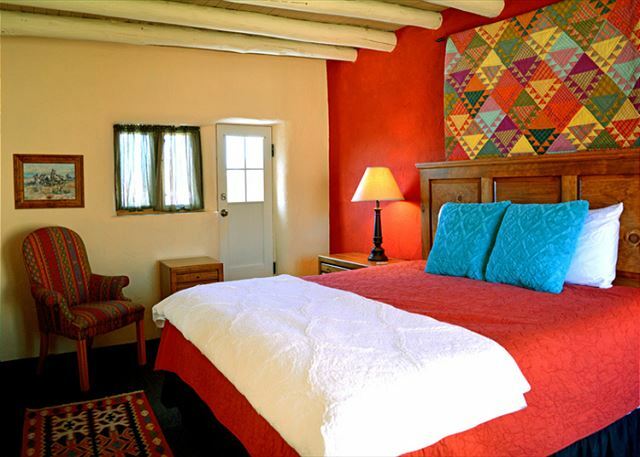 At the same time, home base is nestled in a totally private setting, steeped in Taos history and has been hand-painted and furnished with love and detailed caring. 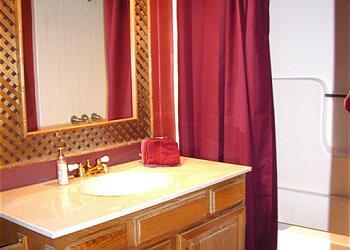 Guests walk in and immediately "just feel good"! 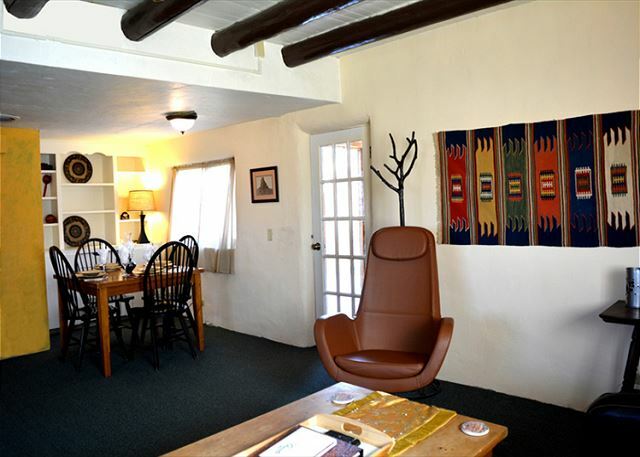 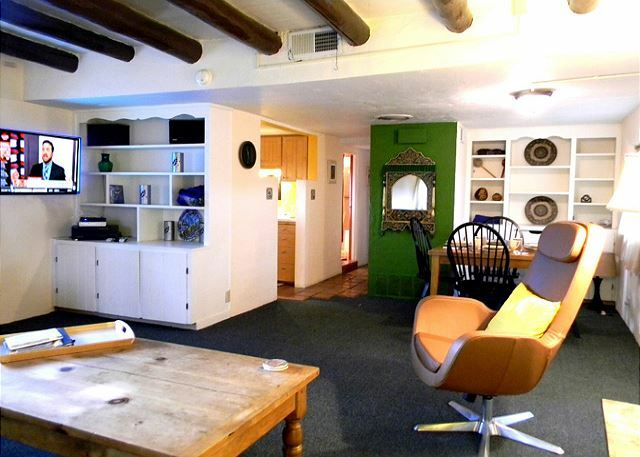 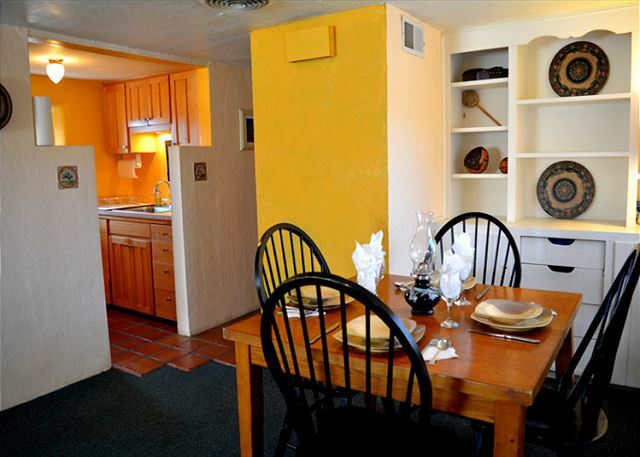 At "Blue Elk Casa Up" you will be staying in one of the most authentic historic Taos vacation rentals offered in Taos, New Mexico. 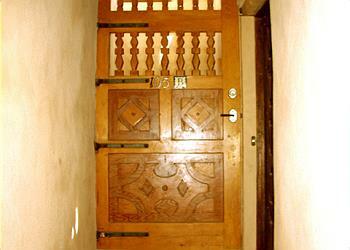 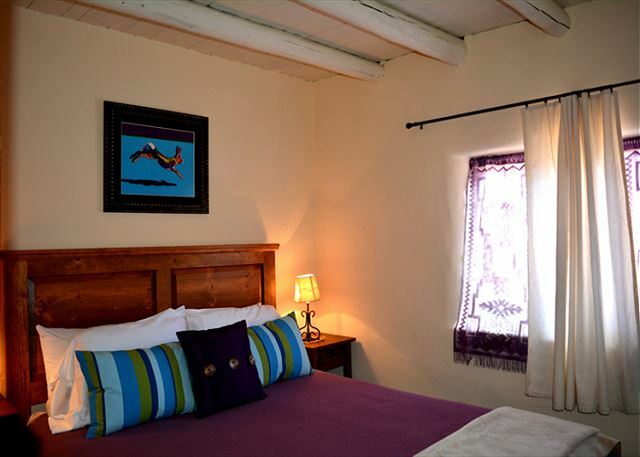 Experience true Southwest charm and architecture with sound proof, thick adobe walls, viga ceilings, kiva fireplace, bancos (Spanish for built in bench or bed) and nichos (cubby hole's for displaying religious items or art). 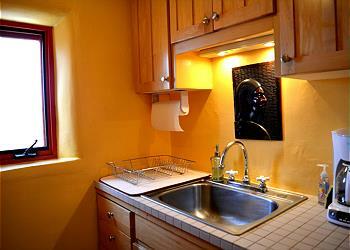 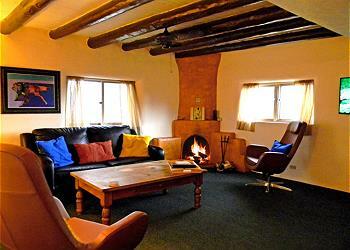 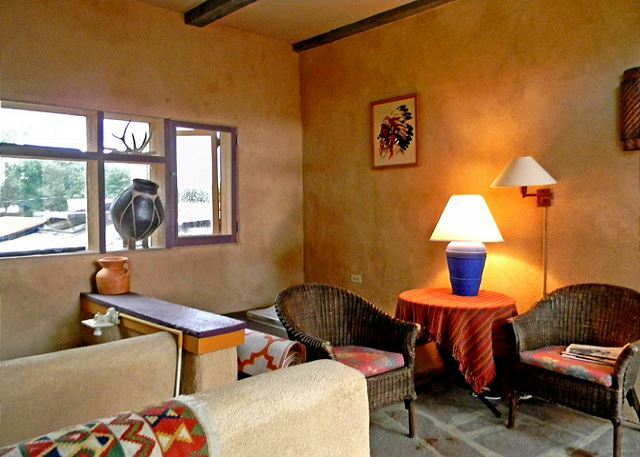 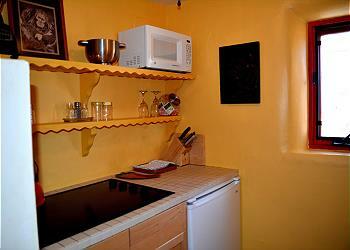 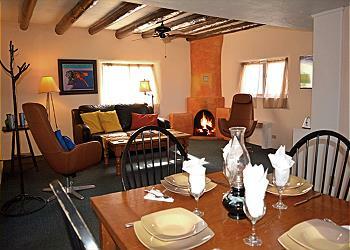 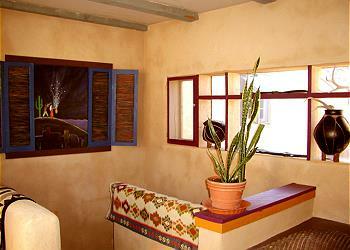 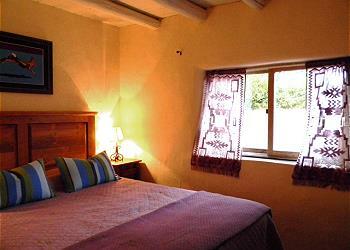 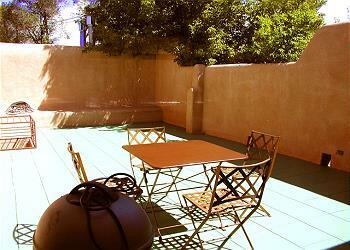 Most important - you are located within a two minute walk from Taos Plaza still being able to enjoy total peace, serenity and absolute privacy from neighbors or passers-by in this adobe walled compound. As customary with many historic Taos Adobe homes, the adobe privacy wall runs along the extreme perimeter of the property with street parking immediately adjacent to the adobe privacy wall facing the street.